WordPress Premium Themes come in all shapes, sizes, designs and layouts. One would be hard pressed to not find a theme they can use that fits their project’s needs. Unlike the HTML sites of old, it can get very expensive — fast — to re-purpose a premium theme. In my experience, it is pretty common with those who are not familiar with how WordPress themes are created and how they work, to think that things can be moved or changed around very easily. Customizing a premium theme is doable to a point. What displays in widgetized areas or the sidebar(s) by using widgets. Where your logo is to display. Width and size of most widgetized areas. Image sizes designated by your theme. What becomes costly is when you want to rework the actual structure of the site or make things function differently than the theme or a plugin is set up to do. Things such as moving non-widgetized areas, creating new widgets or increasing/decreasing the height or width or position of elements can create a domino effect of changes. Keep it simple silly! No need to reinvent the wheel! We can find a theme to fit the bill without you having to incur that additional cost. If the theme you have or like isn’t a good fit, it is probably more cost efficient to just choose a more suitable theme. Having to switch themes mid-stream can be avoided if you know what to think about before deciding on a premium theme. Try not to let a theme’s name or stated application be the sole determination for your choice. Themes can be used for any industry, content or topic — instead look at how the homepage displays and envision if you can see your content and graphics in that layout. Internal pages, for the most part, are pretty much all the same from theme to theme and can be designated as full page or content/sidebar. If you like the way a theme looks, let’s discuss if we can make it work for you! The more functionality a theme has directly coincides with the learning curve for the site owner/admin. Simpler themes are easier for you to learn and use to manage your site. If you desire more built-in functionality understand that you will have to have the time — and patience — to learn the theme’s specific settings and dashboard. Interrogate the theme’s demo site! Not once, not twice — but a bunch of times. Look at the sizes and positions of every element and know that this is the layout configured for that theme. Can you envision your graphics and data filling those spaces? This is how you choose a theme that has the visuals you want, displays your information the way you like and most importantly has the navigational structure you will need. Going through the theme’s demo site is crucial. You need to take the time to click-through the demo to see how the site navigation works and all the variables, images, plugins and theme specific widgets that the developer has included that will decide how pages and posts can be displayed. What you see is exactly what you will get! Click on every page, post and drop down example to make sure the site’s structure and layout is what is required for your project. Keep in mind that demos are loaded up with all the possibilities and that you do not have to integrate all the features as they are displayed. We do have flexibility there as well. MOBILE RESPONSIVENESS: Your new theme must be mobile responsive. If it isn’t move on. NAVIGATION: First look at the navigation. Most sites will benefit from having a primary and secondary navigation. Primary for all your pages — those items that don’t change much and have your core information such as About, Contact, Services, Directions, etc. This menu is generally at the very top of the page and is where site visitors are now accustomed to looking — have it there for them! Some themes only have one navigation bar or sidebar tabs vs. having its own nav bar for all your Blog categories that hold your posts. Be sure you know what you prefer and that the theme you like has the navigation you need before choosing your theme! Whether you are using categories for content, your Blog or both, we don’t want an endless cascade of drop downs. This can be overwhelming to visitors and even cause your navigation to drop “below the fold” making it unusable. 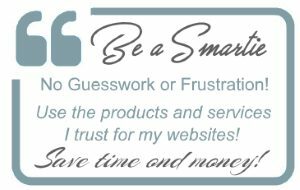 This is why I suggest you create a list of pages and a category and subcategory listing of the topics you want to have available for your site visitors to choose from before deciding on your site theme to make sure you have navigation is a good fit. Think intuitive, simple and as condensed as possible. Endless choices make finding things more confusing for site visitors, and in my experience, site owners alike. We want folks to find what they are looking for in no more than 2 clicks! Short and sweet categories and page titles work best so that you can take advantage of the limited space in the width of your theme’s nav bar (and on mobile). Categories and page names should be one or two words — not sentences or descriptions that will use up valuable space (or in some cases break the navigation). HOME PAGE DISPLAY AND LAYOUT: Many themes will auto-propagate select content from inside your site to display on your top page via widgets. Look at how many areas you have to highlight your key information and make sure you can fill those spots with the information you know your site visitors are looking for upon landing on your homepage. Then, keep in mind the amount of information that will fit in the established layout and that widgetized space. Add more content or larger graphics than allowed for in the design — and the design goes out of whack. You’ll notice that demos carefully integrate graphics and photos that make the theme shine. If you want to use that theme and have the same effect — you have to be prepared to acquire, create and integrate graphics in those specific sizes as well. This is a visual medium after all! Slideshows are also very popular and common in many premium WordPress themes. These galleries work by you designating a representative photo to display in that slot when you want to feature a certain page or post. That photo will then click over to the page or post that it is linked to. Again, be prepared to provide graphics of the specified dimensions for those spaces. You will need to provide photos that are sized to look good in that space and be ready to add new photos on a regular basis to keep your gallery fresh and interesting to repeat visitors. Modifying the height and the width of the gallery is many times possible but there are themes that in doing so you then need to customize the structure of the rest of the site to accommodate a narrower or taller gallery display. SIDEBAR REAL ESTATE: While sidebars are very flexible because you can use WordPress and theme specific widgets to display the information you want to highlight, keep in mind that this space is limited. We don’t want a sidebar that scrolls endlessly past the end of your center content leaving wide-open white space in the middle of the page. If you have more information to include than a single sidebar column can provide, you may want to entertain themes that offer two sidebar layouts to contain all your widgets. A WORD ABOUT eCOMMERCE THEMES: There are several eCommerce plugins you an choose from depending on what type of products you are going to sell. I use WooCommerce and Easy Digital Downloads. Some themes cater more to eShops than others. Other themes are created specifically for WooCommerce. You do not need to have a theme specifically created for eCommerce; the same criteria above applies to your decision making process..
Theme Frameworks and Child Themes are the way to go! The word “framework” in regard to WordPress themes is something I get asked to explain quite a bit. How a framework integrates with WordPress and what benefit, if any, it will have on your website. That is why I only use the Genesis Framework with Child themes for all my sites. To start, frameworks can offer a more robust functionality within your WordPress Dashboard through each framework’s specific dashboard or in the Appearance > Customize area. This pretty much makes a whole bunch of features that used to require coding knowledge or the ability to successfully weed through CSS or PHP files no longer necessary. A theme framework is a theme that is designed to be a flexible foundation that can serve as a parent theme for building child themes. The use of WordPress theme frameworks may ease theme development by reducing the volume of work which may be needed in creating a backbone for your theme (usually by using PHP and WordPress Template Tags). What’s this means is frameworks allow premium theme developers to create a core theme that all subsequent themes, known as “child” themes, can then function off of. And child themes can vary in look and layout just like any non-framework theme. So you are not limited in your options! For example you can change font sizes, colors, spacing in your child CSS and when the framework updates, unlike themes that do not utilize a framework, your custom child theme changes are not lost! Framework/child theme setup enables you to customize the child theme to your liking and maintain those changes when the framework requires updating to keep up with WordPress and security concerns. Taking the time to thoroughly review a theme’s demo and knowing in advance exactly what and how much information you need to accommodate and feature is time well spent. 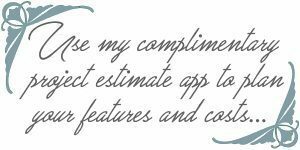 Which means you will have to spend less on customizations — or a new theme! Support, support, support. Now that WordPress is so popular, there are more WordPress themes than ever to choose from. But not all theme providers are created equal. Thoroughly investigate the theme author/company so you do not end up with a theme that has no support or is not kept current with WordPress and security issues. Look for support forums you can tap into. E-mail the developer if you still have questions after reviewing the demo and note the type of response you get. Professional? Prompt? Detailed? The best theme in the world is useless without support! If after carefully applying the above considerations to your new premium WordPress theme, you can then begin building your new site with the confidence.